Most recipes say that you should peel the apples. I forgot and thought I had ruined it; however, to my surprise, I couldn't even tell the peelings were there when consuming! So I guess the choice is up to you peeled vs. non-peeled apples, but I like anything that makes things easier and less time consuming! Adjust rack to middle and heat oven to 350 degrees. Combine flour, pecans, oats, brown sugar, granulated sugar, cinnamon, and salt in medium bowl. Stir in melted butter until you have a nice crumbly texture. Set aside. 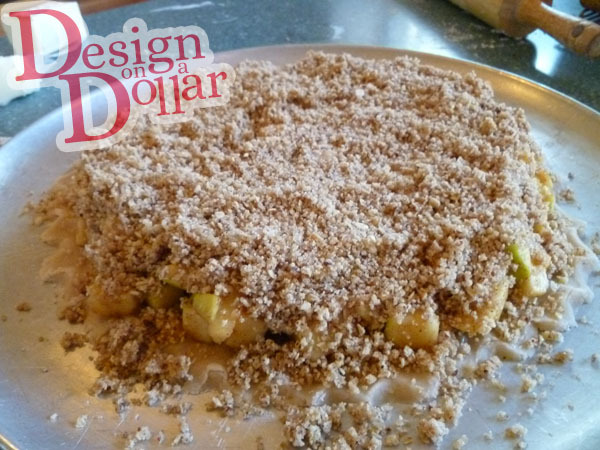 Combine in a quart-size ziploc bag apples (chopped in 1/2 cubes), sugar, cinnamon, lemon juice, butter, and flour. 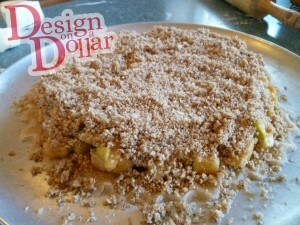 Shake it up to coat apples well. 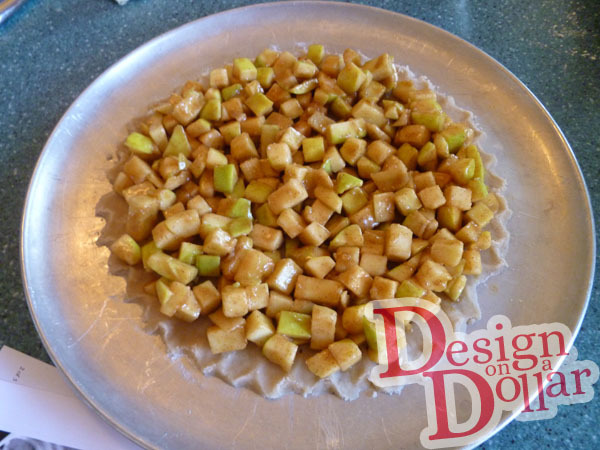 Arrange the apples in a single layer atop the pie crust. 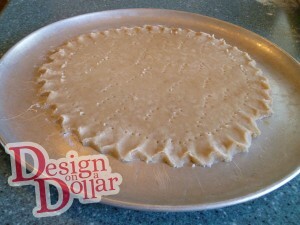 Bake at 350 degrees for 35-45 minutes. 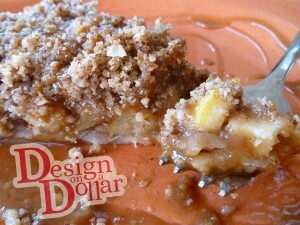 Remove and drizzle with caramel topping. Serve cold or warm, with or without ice cream. It's good any way you like!